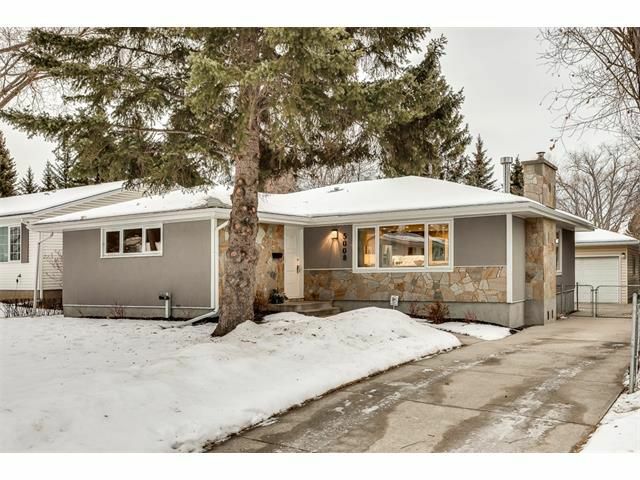 Gorgeous renovated bungalow with over 2700 sq.ft. of developed living space in Varsity Acres. This stunning home is finished to the highest of quality & offers a sunny south back yard, 22x24 dble garage & modern open floor plan. Endless upgrades include site finished hwd flrs throughout main, Quartz counters, high end SS appliances, wine fridge, instant hot water, solid doors, flat ceiling w/pot lights, 2 gas FP's... Outstanding kitchen with ceiling-high maple cabinets, corner pantry, granite sink, induction stove, Miele DW & huge prep island with bar. The master features endless built-in closets, 5 pc spa like en-suite with air jet tub & heated flrs. Triple pane windows, steam W/D, new plumbing, gas & electrical. Brand new basement with tons of storage space, rec room, bed, full bath & gym area. Quiet, serene location surrounded by mature trees & 1 blk from Varsity Estates Park. Roof 2006. Fresh landscaping & deck with 2 exterior gas lines. A must see! !